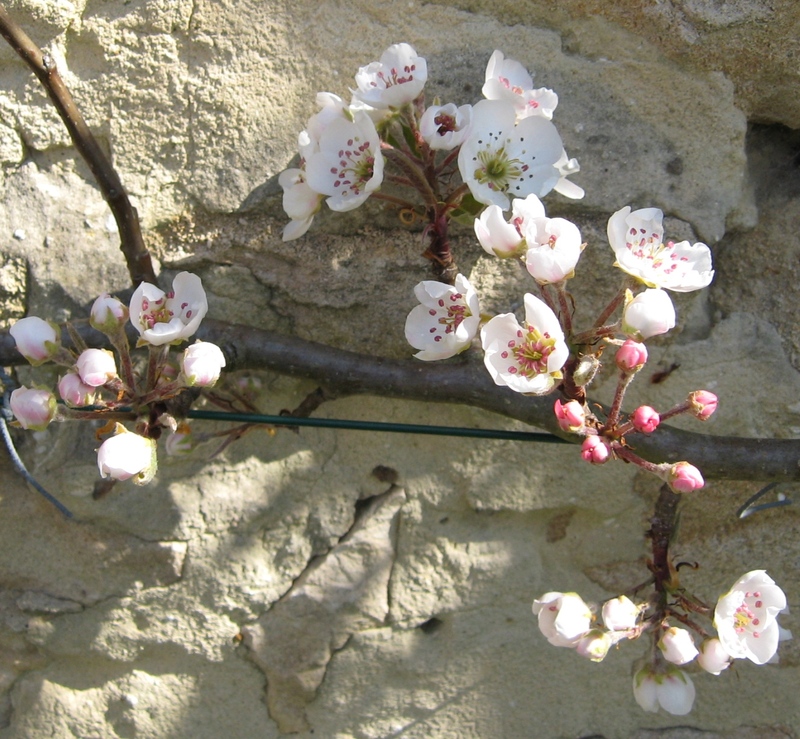 The pear and apple blossom is about to burst on our fruit trees and I’m reminded that we’re coming up to the perfect time of year to follow the Pear Tree Trail, or “La Route de Poiré”. This 75km (40 mile) circuit meanders through the pear orchards of Lower Normandy to the west of Alençon, taking in Domfront and the lovely towns of Barenton, Saint-Fraimbault, Mortanais, Sept-Forges and Passais-la-Conception. The route is signposted along its length and easy to follow in a car. This quiet corner of south Normandy is a delightful mix of market towns, half-timbered barns and working farms, some of which sell their own ciders, perries and fruit juices. Châteaux, manors and pretty villages lie along the route and the pear trees themselves come into glorious blossom towards the end of April and throughout May. At Barenton “La Maison de la Pomme et de la Poire” is a visitor centre offering free tours and tastings. Here’s an unusual suggestion – visit the Maison de la Pomme et de la Poire from 20h30 onwards on Saturday the 16th May to see the centre under a different light, when a pathway lit by candles, torches and lamps will guide you on a route of discovery around this former cider and pear farm. Open Ist April to 15 October 10h00 to 12h00 and 14h00 to 18h00. July and August from 10h00 to 12h30 and 14h00 to 18h00.